Providing you the best range of generator fume wet scrubber, generator scrubber, 7 stage generator fume scrubber, generator fumes scrubber, 5 stage generator fume scrubber and 3 stage generator fume scrubber with effective & timely delivery. Generator fume Wet Scrubber is a new technology which harnesses the pollutants which is harmful to the environment produced by the generator. Exhaust emissions from diesel-powered generators include oxides of nitrogen (NOX), hydrocarbons (HC), carbon monoxide (CO) and particulate matter (PM) that would include any visible smoke and soot. 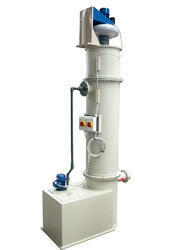 Our dust collector equipment fully harness the contaminants in the exhaust gas and leaves out pure air. Generator Scrubber is a new technology which harnesses the pollutants which is harmful to the environment produced by the generator. Exhaust emissions from diesel-powered generators include oxides of nitrogen (NOX), hydrocarbons (HC), carbon monoxide (CO) and particulate matter (PM) that would include any visible smoke and soot. 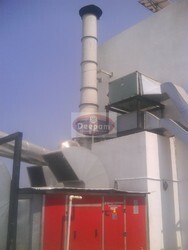 Our dust collector equipment fully harness the contaminants in the exhaust gas and leaves out pure air. Generator Fume Scrubber 7 Stage is a new technology which harnesses the pollutants which is harmful to the environment produced by the generator. Exhaust emissions from diesel-powered generators include oxides of nitrogen (NOX), hydrocarbons (HC), carbon monoxide (CO) and particulate matter (PM) that would include any visible smoke and soot. 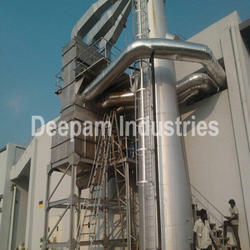 Our dust collector equipment fully harness the contaminants in the exhaust gas and leaves out pure air. Generator Fumes Scrubber is a new technology which removes the pollutants which is harmful to the environment produced by the generator. Exhaust emissions from diesel-powered generators include oxides of nitrogen (NOX), hydrocarbons (HC), carbon monoxide (CO) and particulate matter (PM) that would include any visible smoke and soot. 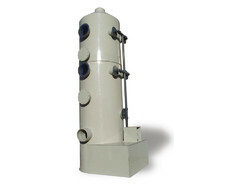 Suitable for the industries which producing toxic gases such as SO2, Co, No2, etc. Generator Fume Scrubber 5 Stage is a new technology which harnesses the pollutants which is harmful to the environment produced by the generator. Exhaust emissions from diesel-powered generators include oxides of nitrogen (NOX), hydrocarbons (HC), carbon monoxide (CO) and particulate matter (PM) that would include any visible smoke and soot. Our dust collector equipment fully harness the contaminants in the exhaust gas and leaves out pure air. Generator Fume Scrubber 3 Stage is a new technology which harnesses the pollutants which is harmful to the environment produced by the generator. Exhaust emissions from diesel-powered generators include oxides of nitrogen (NOX), hydrocarbons (HC), carbon monoxide (CO) and particulate matter (PM) that would include any visible smoke and soot. 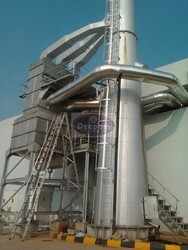 Our dust collector equipment fully harness the contaminants in the exhaust gas and leaves out pure air.